More and more apps are coming out to help people with their mental health and iThinkSmarter is another addition to this market. The app, developed for iPhone, is a free guide to help people with how to deal with psychological problems such as stress, anxiety, depression and panic. The free version is based around a series of questionnaires asking users questions relating to their problem. Their answers to questions will then guide them to what the next step is in their life. The main highlight of the app is the ability to purchase an add on that allows the user to get a personalised and dynamic self-help treatment approach. This means that people can use the treatment, wherever and whenever they desire, at the fraction of the cost for a professional treatment. 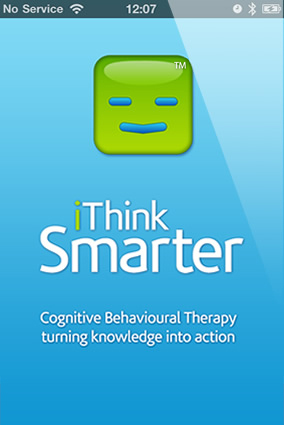 The app has been developed with expert cognitive behavioural therapists, based on the latest research and evidence. Each treatment lasts between six and twelve weeks allowing users to set their own pace for recovery and developing coping skills. Currently there are only depression and worry add ons available, but more are being planned. The app also allows users to find a therapist in the UK, if they feel that they need to talk about their problems to a real person. With more mental health treatments such as post traumatic stress, self esteem and confidence, coming out soon, this app has great potential to help people with these sensitive issues. However, do we believe an app can really give us a good indication as to our mental wellbeing? We’re cynical to say the least.